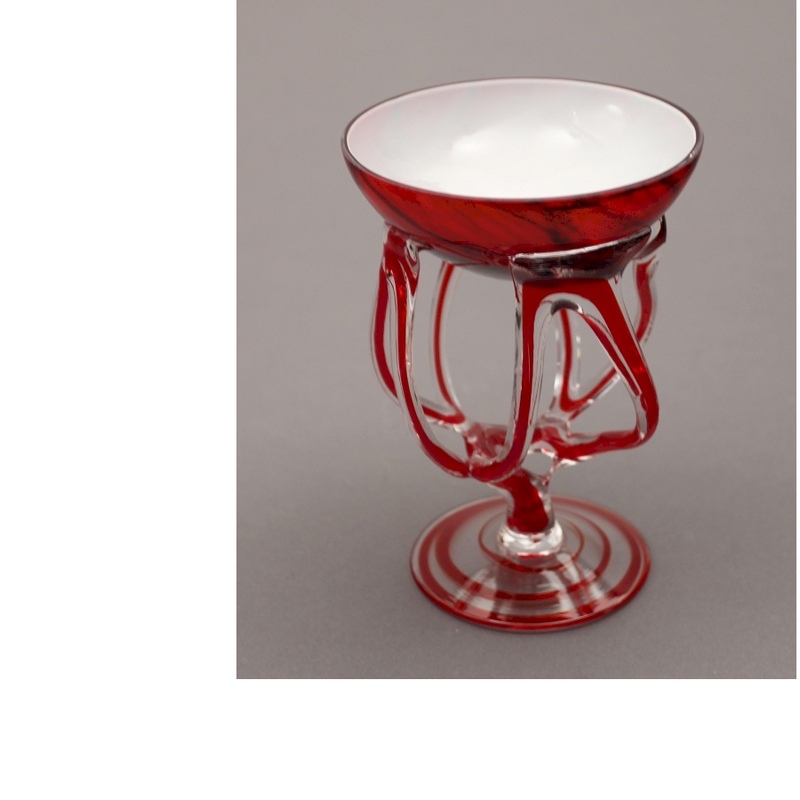 Footed glass dish with red and black marble effect pattern on the outside and solid white colour inside, held above a red and clear glass foot by multiple strands of red and clear glass. 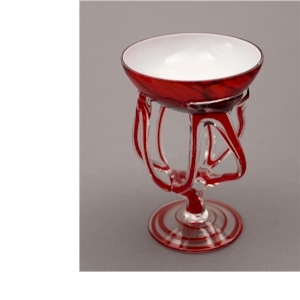 Suitable for holding potpourri, a floating candle, of just as a decorative piece with pebbles or glass beads inside. Supplied in a plain cardboard box.